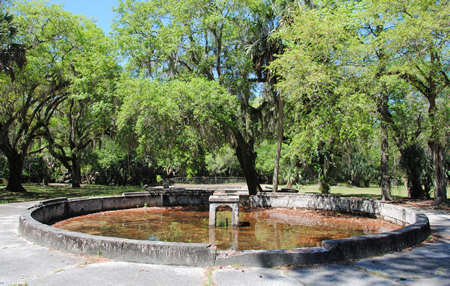 You might have noticed that even though this blog is relatively young, I have done quite a few posts on Florida's springs and the remains of hotels and springhouses that surround them. 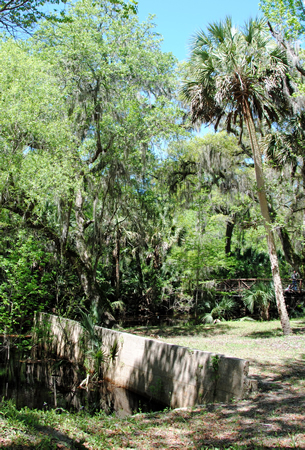 This is partly because Florida's springs are one of my favorite features of this state. 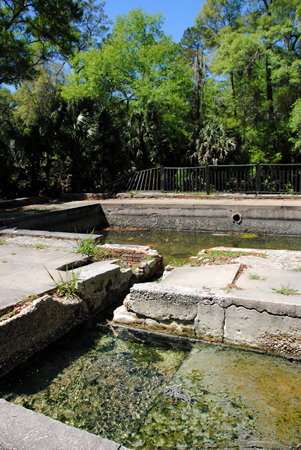 This is also because in the early days of Florida tourism - before Disney was a household name and when Miami was nothing but a small town - Florida's springs were what drew tourists to the state. 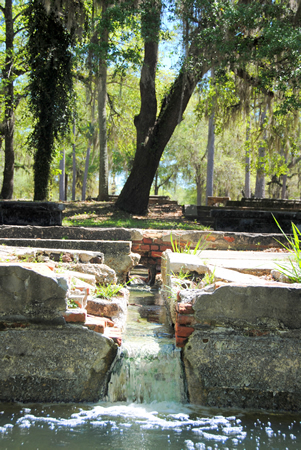 It certainly didn't hurt that basking in mineral-rich waters, such as Florida's springs, was believed to have numerous medicinal benefits. 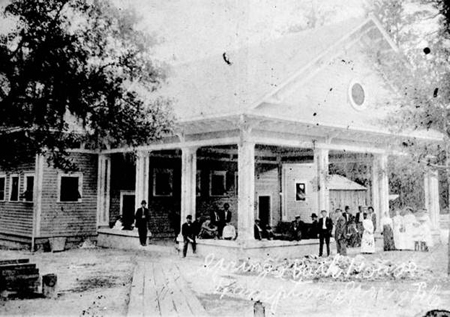 The Hampton Springs Hotel was once such a tourist attraction. 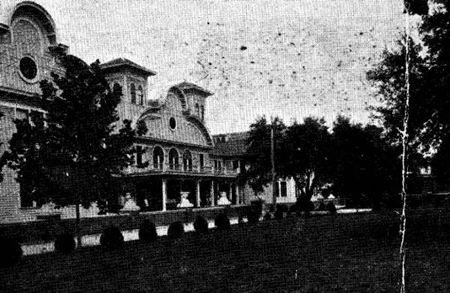 Located just outside of the town of Perry, the hotel was constructed over the springs back in the early 1900s, the grand hotel attracted so many visitors that it had to be expanded - and its famous visitors even allegedly included Theodore Roosevelt. 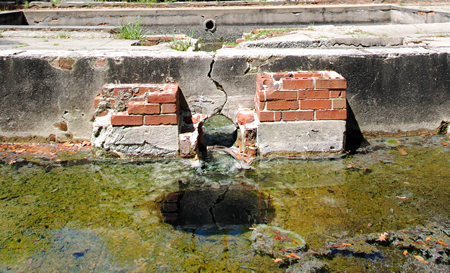 In the late 1920s, modern medicine of the day began to discount the 'healing' claims of Florida's mineral-rich springwater, and many of Florida's spring-affiliated resorts closed. 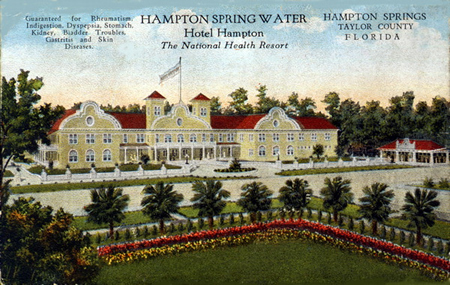 Hampton Springs Hotel, however, added a golf course, a hunting and fishing club, and an exclusive spa club, which helped the hotel continue attracting visitors through the 1930s. Beginning in the late 1930s and into the 1940s, the hotel was used to house troops who were testing military aircraft at the airport located in Perry. The hotel complex was destroyed by fire in 1954. 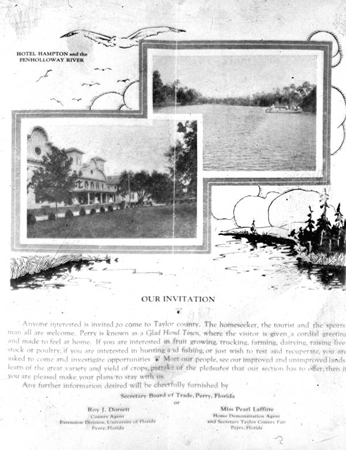 This is a promotional brochure for Taylor County, which features an image of the Hampton Springs Hotel. The text reads: "Anyone interested is invited to come to Taylor county. The homeseeker, the tourist, and the sportsman are all welcome. Perry is known as a Glad Hand Town, where the visitor is given a cordial greeting, and made to feel at home. If you are interested in fruit growing, trucking, farming, darying, raising livestock or poultry, if you are interested in hunting or fishing, or just wish to rest and recuperate, you are asked to come and investigate opportunities. Meet our people, see our proved and unimproved lands, learn of the great variety and yield of the crops, partake of the pleasures our section has to offer, then if you are pleased, make your plans to stay with us." 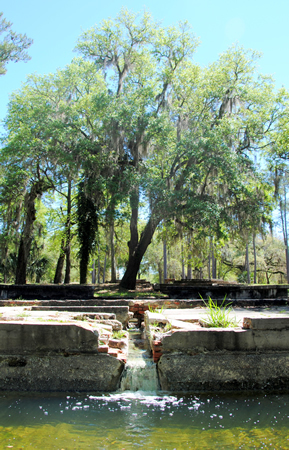 Little remains of the Hampton Springs Hotel today other than the foundations and the concrete pools built up around the spring itself. 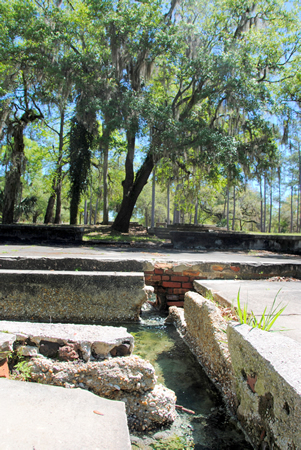 Taylor County and the Florida Bureau of Historic Preservation have turned the former site of the Hampton Springs Hotel into a park, where visitors can enjoy the springs, hotel ruins, Spring Creek, and picnic tables. 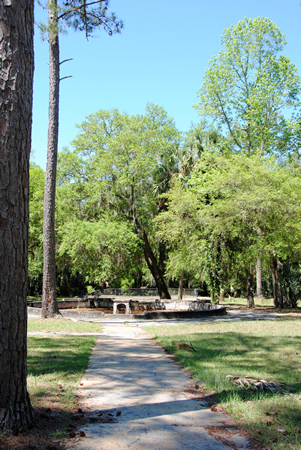 Entering the Hampton Springs Park. The walkways and cement structures date back to the hotel. 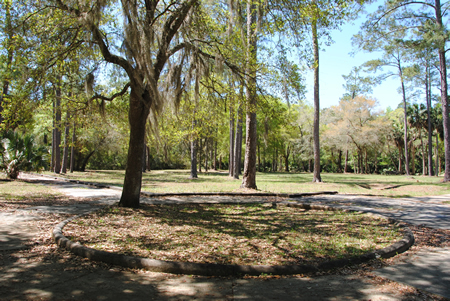 Numerous remains of building foundations dot the site. 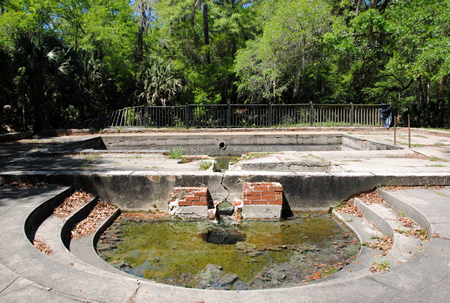 Before you reach the springs, you come to this pool. 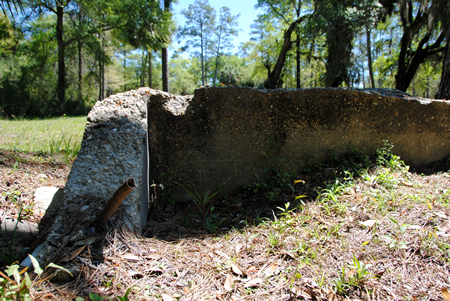 A closeup of the structure (?) in the center of the pool. Looking back towards the first pool from the springs. 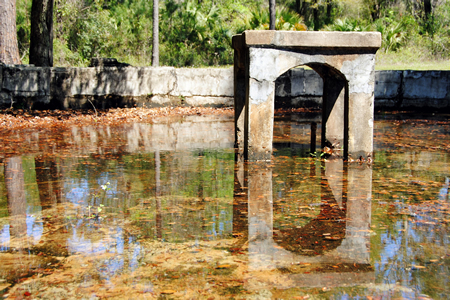 The springs have been entirely enclosed in these concrete pools. 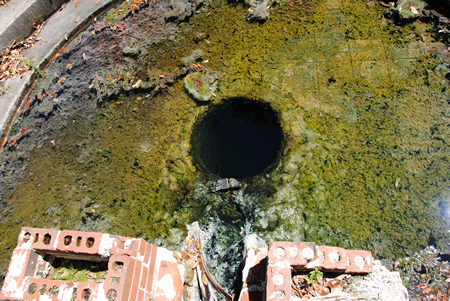 Despite the algae growing in the pool, the water flowing from the spring (coming up from that dark hole in the center) is crystal clear - although it has a strong sulfur smell! 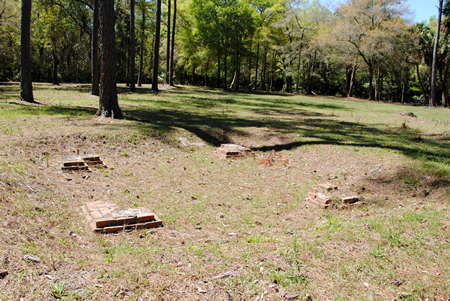 From this angle, you can see remains of either tile or scored concrete surrounding the spring (look to the upper right of the hole). 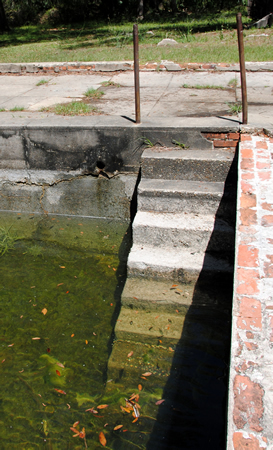 A look at the spring-fed pools. 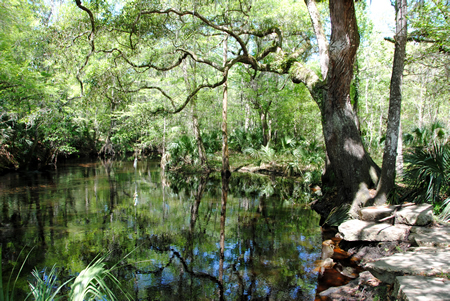 The spring water flows into various pools before finally exiting the concrete maze and entering Spring Creek. 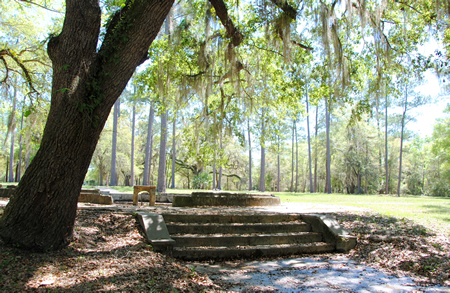 There's an old bridge over Spring Creek (right center). Not sure about the concrete structure in the fore. 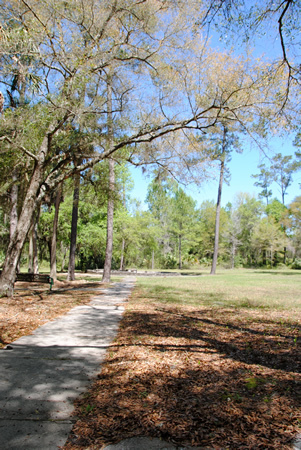 UPDATE: Click here to see a comparison between the original hotel grounds and the way the property looks now!